We are in a spiritual battle, friends. And learning to fight like Jesus is the most important thing we can do to win the battle. 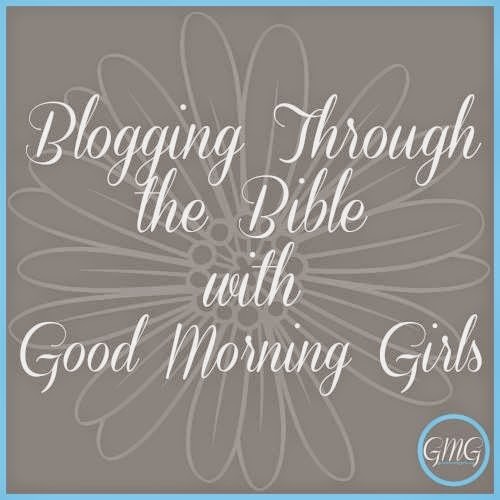 This week in our reading with the Good Morning Girls, we see Jesus being tempted by Satan at one of the most weakest points of His life as a man in Matthew 4:1-11. Did you notice how Satan attacked Jesus by twisting the word of God? That's what he's good at...twisting the word of God so that we will sin against God. He did the same thing to Eve in the garden of Eden (Genesis 3:1). But this time Satan's plan failed! Jesus spoke the Word of God right back at Satan with every twisted attempt Satan threw at Him. Learning to fight light Jesus means we must be armed with the truth of God's Word. It means we must learn to shine the light of the truth of God's Word when faced with the temptations of this life by speaking the Word of God into any temptation that Satan puts in our path. It's the only way we can effectively resist temptations from Satan. Hiding God's Word in our hearts - memorizing the Scriptures - is a great way to arm yourself with the Word of God! I'm a firm believer in committing Bible verses to heart and then praying the Scriptures I've learned back to God when the need arises. ...Out loud so he could hear the truth of God's Word concerning him and win the battle Satan was waging against his peace of mind. 2 Timothy 1:7 says, "For God has not given us a spirit of fear, but of power and of love and of a sound mind." So here is a portion of my prayer for Caleb that I pray out loud over him every. single. night. 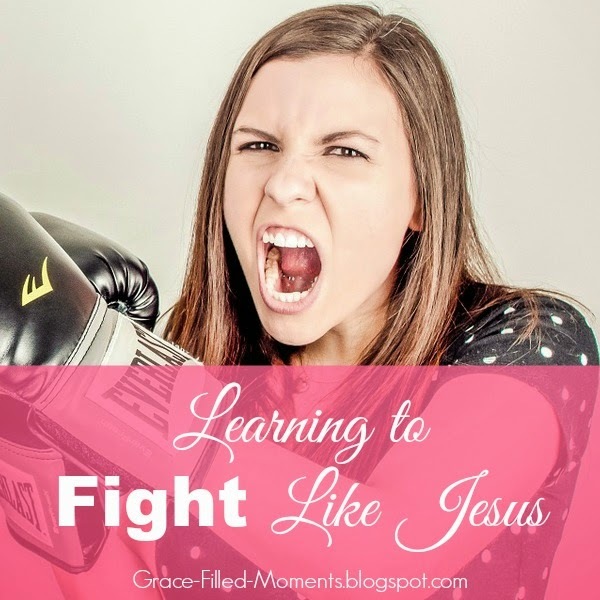 Let's win the spiritual battle by learning to fight like Jesus. Let's teach our kids too while we're at it! We made it through Week 1 of Matthew! It has been a struggle for me this week, friends. There is so much going on in life right now. It's been a very tiring week for me. I ask for your prayers. Let's press on together in the book of Matthew! I'm linking up with Courtney Joseph over at Women Living Well, home of Good Morning Girls! Simply click on the image below to read Courtney's Blogging Through the Bible post and others who are BTTB with us! I love your call to fight with Scripture! I've memorized various verses with this intent in mind as well. When I was going through postpartum depression with my second son I had a number of verses that I put to heart so that I could speak them particularly at nights when it was the worst. What a blessing it has been. Thank you so much for sharing this with us all! Hi, Cat! There is power in the Word...Amen! Thanks for stopping by and sharing how praying God's Word has been a blessing to you. Wow, i love that. My son has been having jelousy issues dealing with his baby brother; it has been a battle. What scriptures do you suggest I use to speak over him? Thank ypu so much for sharing that. God bless you.